This is my 200th post on my website and how fitting that it is from my home state of Wisconsin. As a native to Wisconsin I had heard of the Apostle Islands but had never made it that far north before. 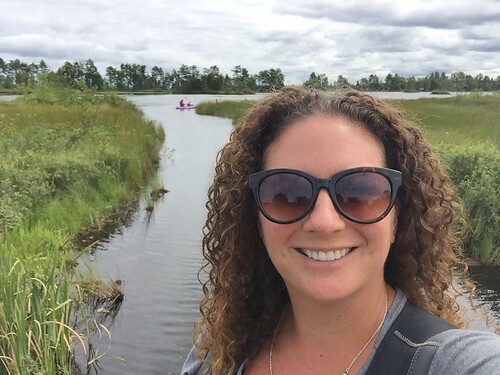 I decided to explore the natural beauty of this area and put together a list of Apostle Islands things to do in the beautiful Apostle Islands National Lakeshore. I like to think no matter how much you have travelled and where you have been in the world it is always good to explore your own backyard. That is what I did when I drove four hours north to the Bayfield area. There is a lot to do and see in the area but the main attraction is the Apostle Islands and the sea caves on Lake Superior. This area is known as the Apostle Islands National Lakeshore. Stunning natural scenery, windswept beaches, eight historic lighthouses, nature-carved rock formations, marine wildlife, and intricate sea caves – this is Apostle Islands National Lakeshore. Twenty one beautifully crafted islands in Lake Superior positioned off the coast of the Bayfield Peninsula in northern Wisconsin. On our first day we drove to Bayfield and then took a ferry to Madeline Island. 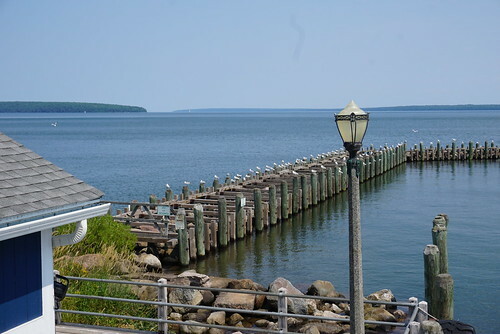 Madeline Island is the largest of the islands although not part of the national lakeshore. The ferry is a quick 20 minute ride and leaves every half hour in the summer. We decided to take the car so we could explore as much of the area as possible. We arrived in La Pointe, the largest city, and stopped at the local food truck for some tacos as a snack before heading to Big Bay State Park which has lots of easy hiking trails and the top attraction of brownstone cliffs above Lake Superior. We also went to Big Bay Town Park to check out the beautiful beach and scenic overlook. There are lots of cute shops and galleries and restaurants to explore along with the museum which talks about the history of the island. The next day we had booked a kayak trip to the sea caves with Living Adventure. The day started off very windy and we knew there was a chance we wouldn’t make it to the sea caves. After all, the lake is the boss in these parts and with high winds you have lots of waves and it wouldn’t be safe to kayak into the caves. 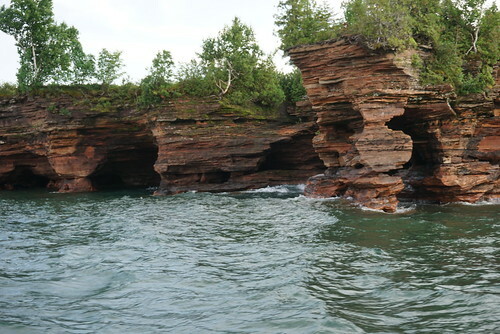 A hallmark of the Apostle Islands National Lakeshore is the ancient geology noted by red sandstone cliffs and sea caves. Centuries of wave action, freezing and thawing have sculpted artful caves considered to be the most spectacular in the Great Lakes. Kayakers have the unique opportunity to paddle under arches, vaulted chambers and into deep recesses. Even if you haven’t kayaked before this trip would be suitable for beginners. You will be using a sea kayak and the instructors will show you how to use it along with all the equipment. Your day starts off at the Living Adventure Center with introductions to your guide and other group members. Next is a short shuttle in our van to the put-in at Meyers Road, where an extended beach faces out to the Minnesota and Canadian north shores. So we went to Meyer Beach and checked out the situation. We found that two other groups that had gone out earlier were on their way back. So the sea caves were a no go for the day. The Mainland Lakeshore Trail extends 4.5 miles, from the Meyers Beach area, past the cliffs above the mainland sea caves. Hikers can enjoy more than fifty miles of maintained trails on 12 islands of the Apostle Island National Lakeshore. Instead we went to a lagoon and checked out the wildlife where we saw baby ducks and then had lunch at a sand bar before heading back in. It was a lovely day out and I’ll have to go back again to make it to the sea caves. After the kayak trip we decided to go on a cruise through the Apostle Islands all the way out to the Devils Island lighthouse. 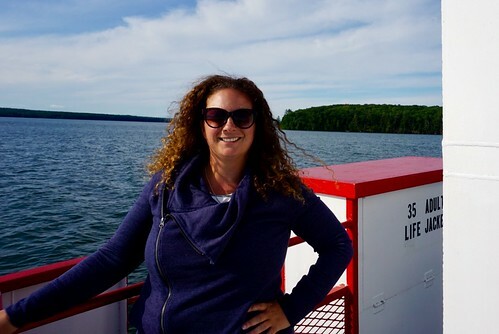 The Grand Tour is the Apostle Islands Cruise Line’s most popular cruise, and it takes you on a narrated, informative 55-mile scenic cruise. Throughout this memorable cruise, you’ll pass extraordinary natural scenery, beautiful historic Raspberry and Devils Island Lighthouses, standing rocks, extensive sea caves, and marine wildlife. Learn the rich history of centuries of human interaction with Wisconsin’s “Crown Jewels” on majestic Lake Superior. Approximately 3¼ hour cruise. We went with Apostle Island Cruise Line on a three hour sunset cruise to visit the sea caves on Devils Islands and two lighthouses. Along the way we learned about the history of this area. Apostle Islands National Lakeshore has more lighthouses than any other National Park Service area with 8 historic towers on 6 islands. Visitors can hike, paddle, sail, or cruise to experience these Jewels of Lake Superior. Camping is available on 19 of the Lakeshore’s 21 islands and at one campsite on the mainland. The park offers hiking opportunities on the mainland, as well as many of the islands. The most northern point of the cruise, Devils Island, has dramatic rock formations and sea caves that wrap around its northern shore. Devil’s Island Light sits on the northern end of the island and was built in 1898 and later automated in 1978. Bayfield is surrounded by 15 berry farms and orchards and even a few wineries. THe area has a unique microclimate perfect for fruit and berries. I was especially interested in picking up some cherries and raspberries but they also have loads of blueberries (which we also grow at home). So many great places to eat while in Bayfield. Here are a few that we checked out. Big Water Coffee Roasters – this was a must every morning for me. The vanilla honey latte is delicious! Maggies – a tropical theme in the north Maggies has great food and flamingoes. Bayfield Inn Restaurant – great views and good food. I had the scallops there and they were delicious. Chef Duey began his culinary career over 33 years ago in the Twin Cities before settling on the Chequamegon Bay. He is proudly the only 5 time consecutive winner at the Chequamegon Chefs Expedition. I stayed at the Bayfield Inn which has several properties around town. Our room was called the Crow’s Nest and it was more like an apartment with a kitchen and a lounge area. I want to thank the Bayfield Chamber of Commerce for making this trip possible, as always all opinions are my own. This is a beautiful area and I will definitely visit again! Kayaking to the sea caves is still on my list! If you asked me if Wisconsin had a shoreline I would probably have said no. Thanks for schooling me! Sounds like a nice time and this will be useful should I ever get out that way.